Vanessa Sutton, Jeff Koscik and Don Francis are three candidates for city councilor in River Ward who attended a Climate Coffee House on September 27. What is a “climate coffee house” you may ask? Those artsy enough will know that a coffee house is a kind of open mic night. It’s a chance for people to share their playing of music in a casual way. But this time around an unusual though wildly important twist was added – the role of city politics in mitigating climate change. The result was an evening of guitar, piano, ukelele and voice. The most important of these being voice. Gathered in the home of one of River Ward’s first time voter’s, 18 year old Lauren, were about 10 young people, their parents and neighbours, along with three of the 10 invited candidates for city councilor. These young citizens are voting in a municipal election for the first time and they wanted their concerns about climate change heard. It was the voice of Dr. John Stone, climate scientist, Nobel prize winner and a resident of River Ward, who framed the serious nature of climate change and its causes and effects. He also stated that moving away from fossil fuels to renewable energy sources, changing our lifestyles to lessen our carbon footprint and changing our built environment to encourage local living and working, thus cutting out the long commute, were our best choices. Given that city councils set rules and bylaws determining how half the population on earth lives, much of our future is determined by the councilors we elect. How much and what kind of energy we consume, waste and conserve is affected by city policies. 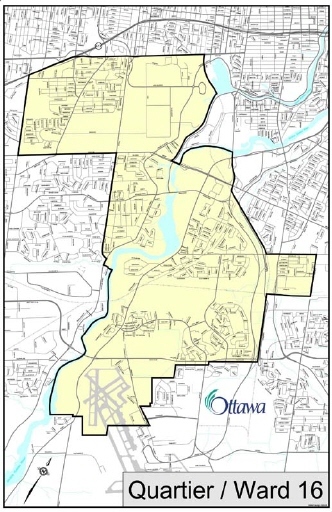 The City of Ottawa has set out an Air Quality and Climate Change Management Plan in May of 2014. It is the upcoming councilors who will be setting the budget and defining council priorities. Talk turned to what each candidate views as the role of the city in mitigating climate change. Vanessa Sutton, who has an open and authentic demeanor, left those in the room with a feeling that she heard and understood that city councilors have power to influence our future climate for the better. Renewable energy, energy conservation retrofits and financial incentives to encourage home owners to improve their homes were some ideas that she shared. As an accountant she stated she tended to be fiscally conservative, and said that all decisions made by City Hall should be made through a climate change lens. Her view on the Energy East pipeline was that it made no sense to be transporting bitumen across Ottawa to deep water ports for export. Don Francis answered in more general terms and stated that people like their lifestyles and were not very flexible. He stated that in his experience as a school trustee, getting the school board to agree to hold an Arbour Day was not successful, so even bigger advances on environmental issues would be difficult. He was sympathetic to the individual first time voters and spoke with each one. Jeff Koscik was very open to discussing how Ottawa as a city should be taking the lead in tackling environmental issues and investing in innovative solutions. He gave the example of solar roadways. He explained that there is a town in the US that is experimenting with solar panel modules that can be driven over, would be lit in various ways, provide heat to allow snow to melt and generate electricity. Jeff, who is not much older than the 18 year old Lauren, who was hosting the event, is sure that a voice proposing innovation, and not the status quo, would help develop Ottawa for an improved future. After discussing the proposed Energy East pipeline and what a city can do to protect the interests of residents concerned about a bitumen spill in the Rideau and escalating climate change, the evening was rounded out by music. Guests, hosts and one candidate played the piano, sang, strummed the guitar. Talk turned to favourite composers and musicians. Just another Climate Coffee House. I think River Ward voters deserve to hear from all 11 candidates not just 3 in an open venue not one private home with a few voters present!